We are celebrating Thanksgiving at my sisters house this year, in Idaho(they are vegan and gluten-free but we’ll have some turkey for my family and “gluten” rolls!). With Thanksgiving being only a week away, we’ve got the menu planned out and I’ve already started some of the prep work because I do not like to be working in the kitchen all day on Thanksgiving. I don’t mind cooking for a couple of hours, but we also like to go out in the morning as a family and do something active like run a race or play sports, which makes us feel like we’re kinda off-setting the large quantities of food we’ll be eating that day. So I like to start prepping Thanksgiving dinner as early as possible. 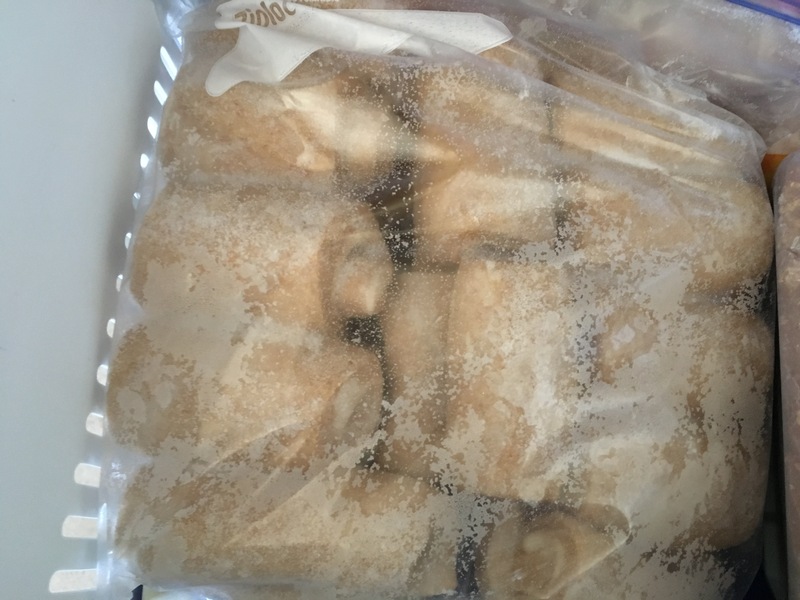 Last week I made the dough for our dinner rolls and then froze the dough. I LOVE these homemade dinner rolls, they are so soft and fluffy AND they’re whole grain! Seriously amazing. This year I tried something a little different with my rolls. I used my same roll recipe, but then I followed the Lion House Pantry way of rolling out the dough, like you would cinnamon rolls, and then slathering the middle with melted butter, cutting it into rectangles, and rolling up the rolls, like pictured below. 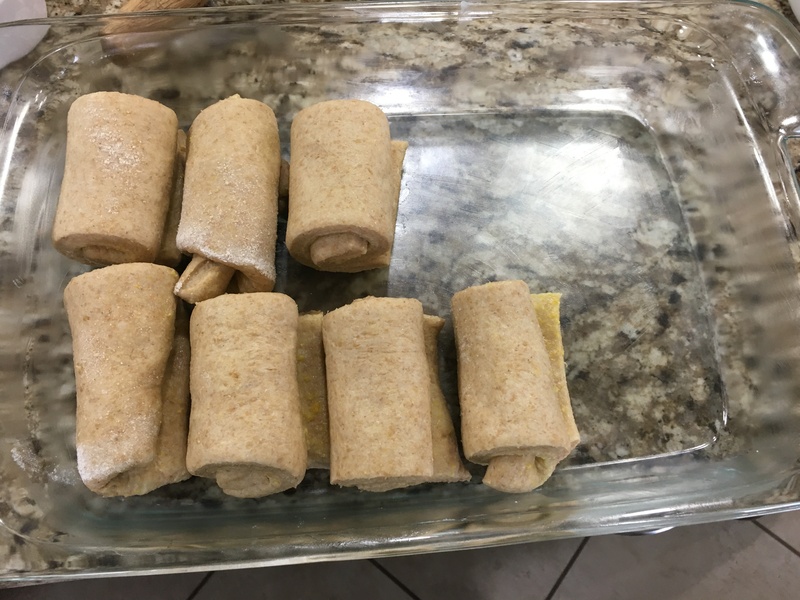 Since my dough recipe makes 24 rolls, I made half of the dough into orange rolls and we ate them immediately, and the other half of the dough, we rolled up and stuck in the freezer for Thanksgiving. I’m excited/curious to see if the butter in the middle makes much of a difference. I might end up making another batch of rolls before Thanksgiving and freezing half again, because we love rolls! 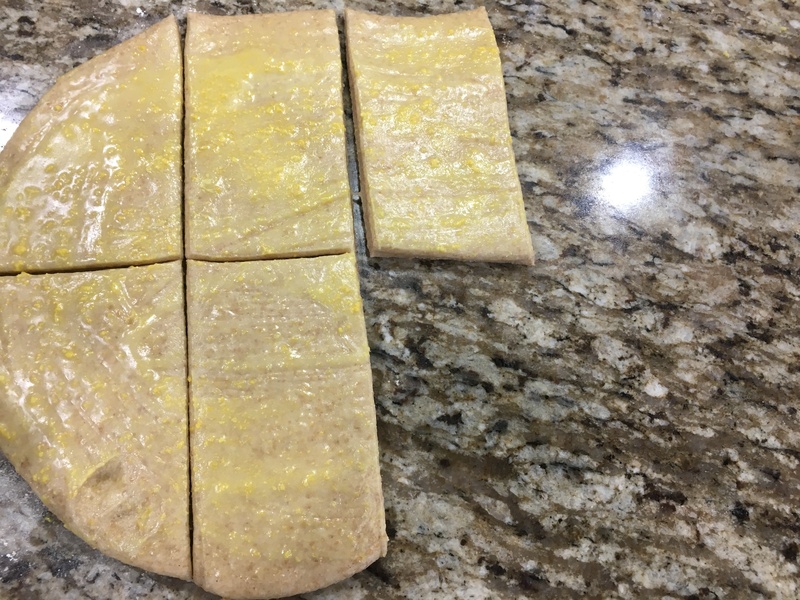 This is a picture of the dough I rolled out and slathered with the orange zest for our orange rolls, but same idea for the Thanksgiving rolls, you’d just slather it with melted butter instead. 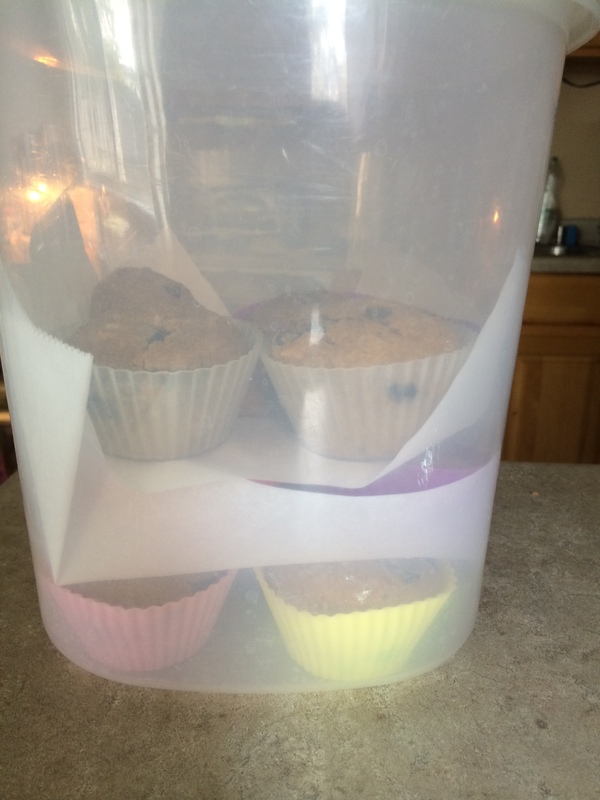 And they went straight into a gallon ziploc bag where I laid them all flat, and gently stuck it in the freezer( where they could still lay flat while they froze). I will also be making (or buying if I run out of time) a whole wheat pie dough crust this week and then the day before Thanksgiving I will put together the filling for a Pecan Pie and pour it into my premade dough. 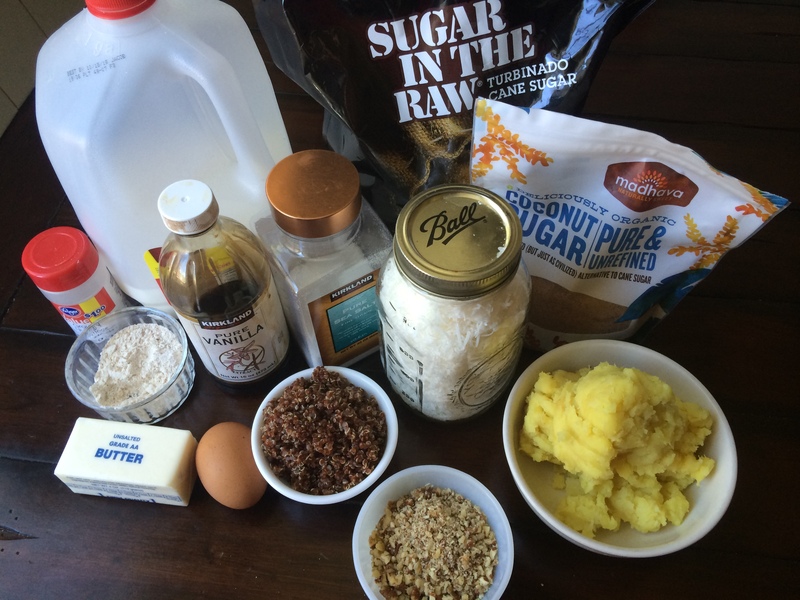 I love pecan pie, it’s probably my favorite pie ever, and I love that my recipe for pecan pie does not use any corn syrup. What I haven’t quite figured out yet is when to do the potatoes. 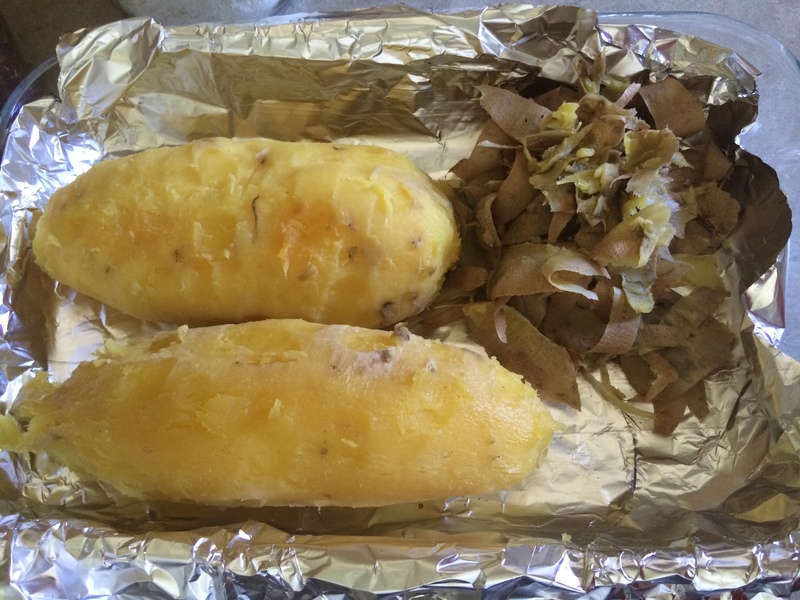 Should I bake my sweet potatoes and boil my mashed potatoes the day before? Or should I do it on Thanksgiving Day? I’m kinda leaning towards doing my yams the day before because once I put everything together, I bake it in the oven, so I could prep it all the day before and then just stick it in the oven on Thanksgiving. But maybe do the mashed potatoes the day of? Hum, decisions, decisions. If any of you have any suggestions, things that worked well for you, let me know! 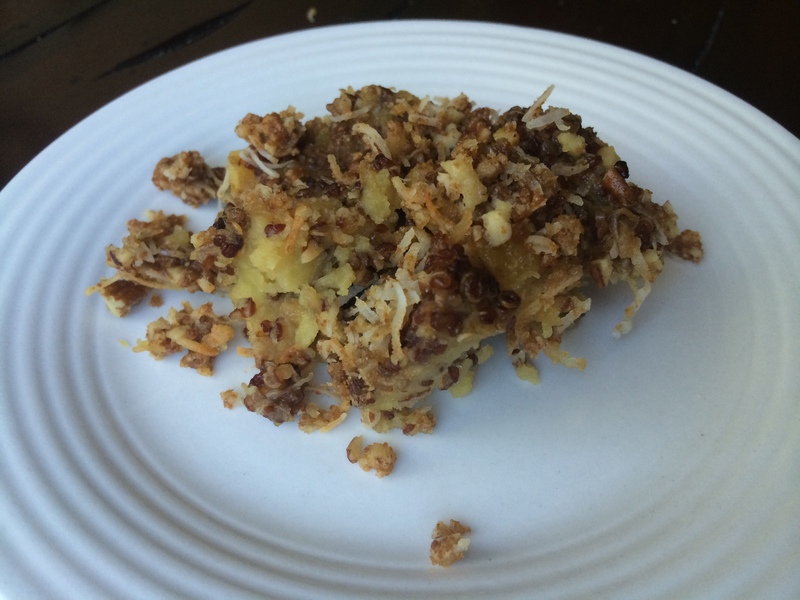 By the way, I love these Yams, they’re sweet as they should be but they also have a little added quinoa, chopped nuts and shredded unsweetened coconut which I love! Add’s some texture and nutrition! And I’ll definitely be making these Garlic Roasted Green Beans with Almonds, fresh the day of. I love roasted veggies straight out of the oven. I’ll make our maple syrup sweetened Cranberry Sauce ahead of time as well (I need to post that recipe on here! ), and then we’ll probably save the stuffing for the day of. My sisters going to make vegan mashed potatoes(so maybe I won’t even end up making mashed potatoes), a vegan pumpkin pie, gluten free cupcakes and vegan mac and cheese. I’m feeling so excited just thinking about it! I’ll have to see if I can get her to do a guest post here some day because she has some great recipes (I’ve actually posted a couple of her recipes here already, with her permission); maybe I’ll get her to share some of her holiday favorites. We shall see. I’m taking next week off for blogging, so have a Happy Thanksgiving and check back in two weeks! 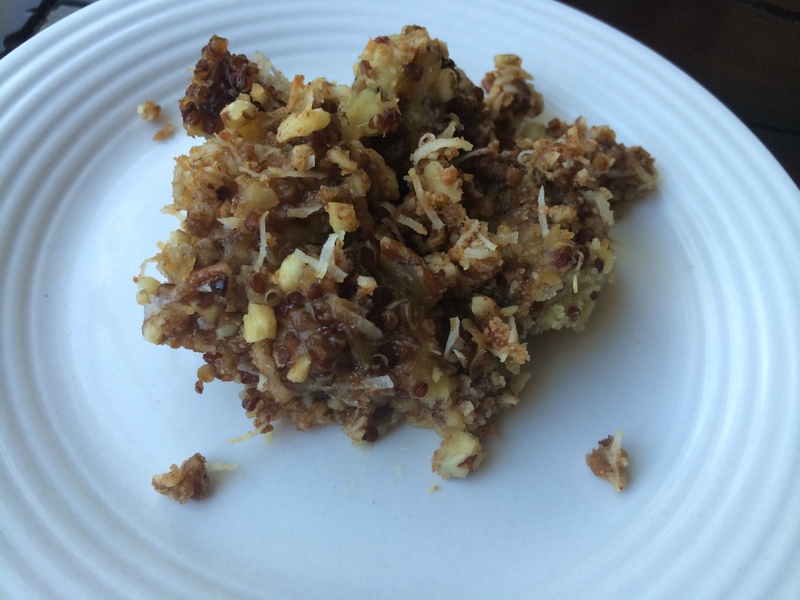 *Also, feel free to share some of your favorite holiday recipes with me on the comments or via email; I love trying new recipes! Here’s the recipe I promised last week. 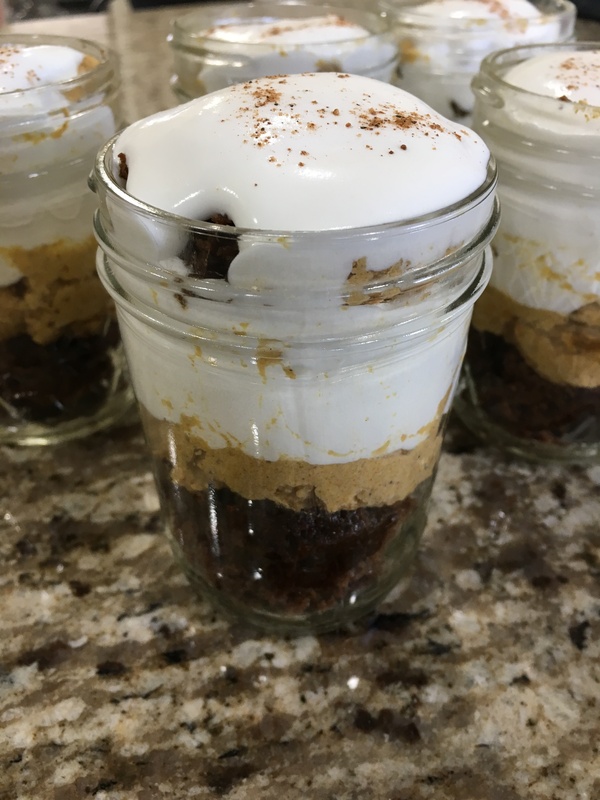 It’s a Gingerbread Pumpkin Trifle recipe that I adapted from the Our Best Bites cookbook. The original recipe calls for 1 c powdered sugar in the whipped cream, so I lightened it up with a little pure maple syrup. 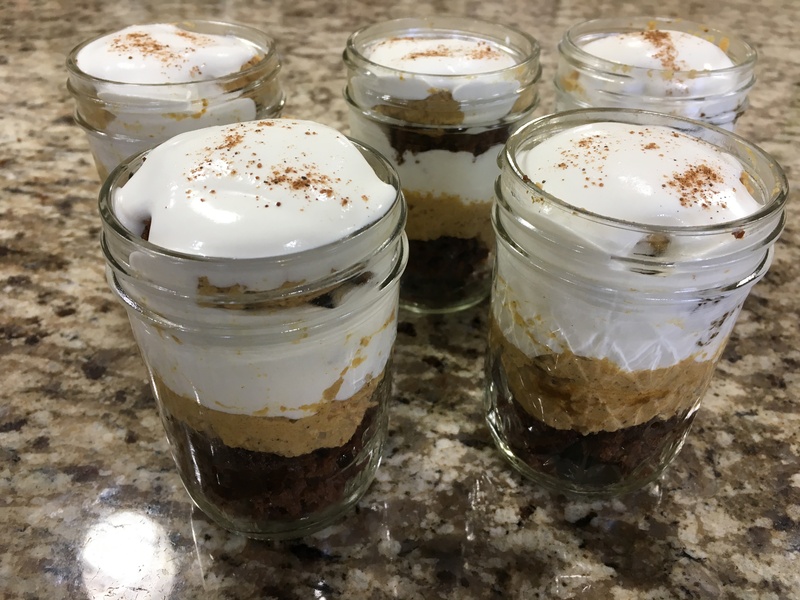 I also like to use coconut sugar in place of brown sugar whenever possible as it’s an unrefined sugar, and it tastes great in this recipe for the pumpkin mousse. 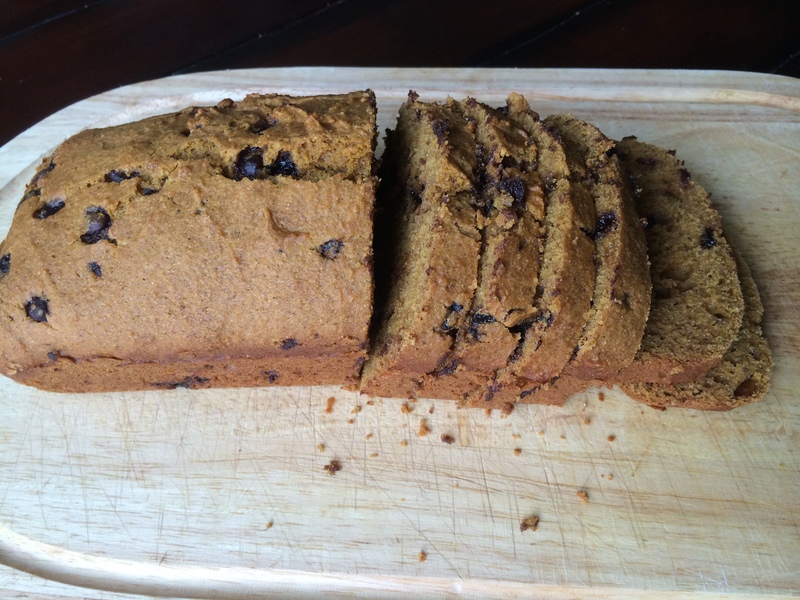 You can use the gingerbread recipe I posted last week which is made with whole wheat flour and is AMAZING all on it’s own! 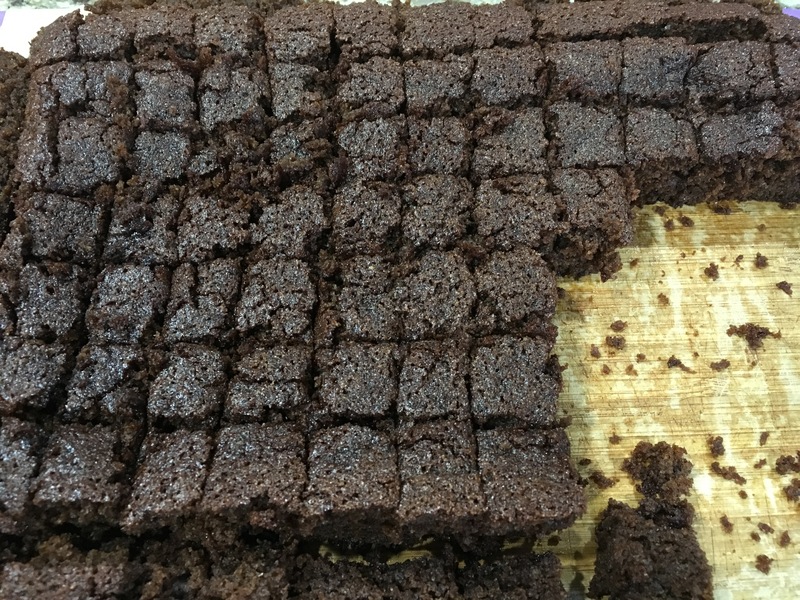 Once it has cooled, cut it into 1/2 inch cubes for this recipe. 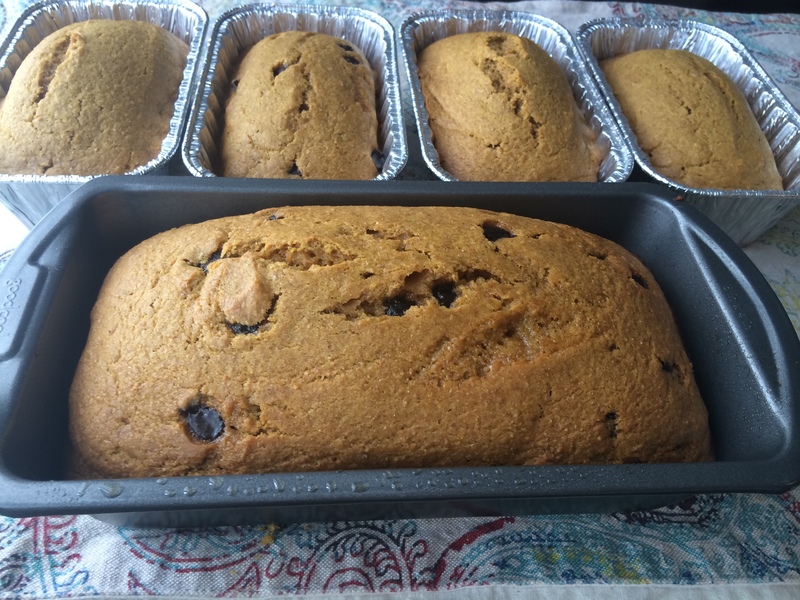 I’ve cooked it in a 9×13 dish and a large loaf pan and both work well. If you’re layering into the smaller, individual serving dishes, I found it helpful to put a few of the gingerbread cubes in the bottom, and then gently push them down with a spoon. 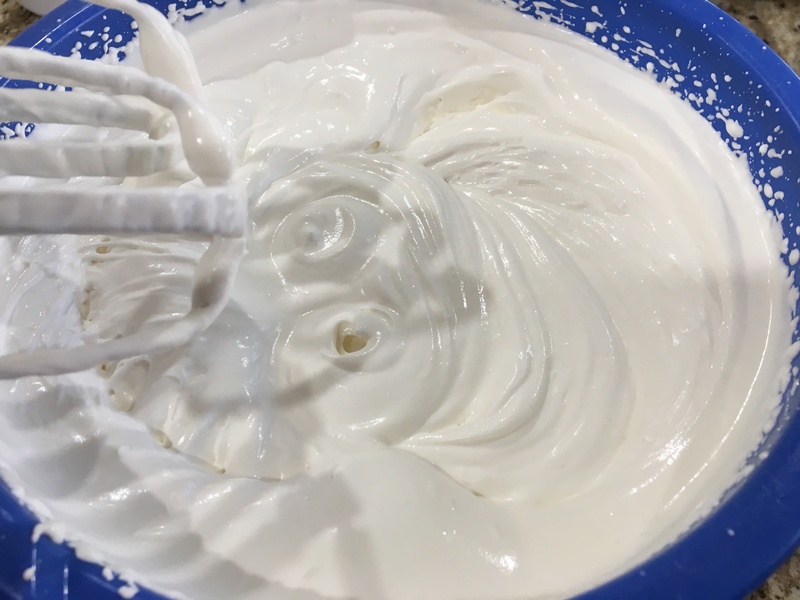 Next, using a cookie scoop or tablespoon, add in a couple scoops of the pumpkin mixture, gently tapping the glass on the counter and gently swirling the jar which helped fill in some gaps, and then adding the whipped cream and doing the same tapping and swirling motion to get it all spread out evenly. Bake gingerbread according to recipe. 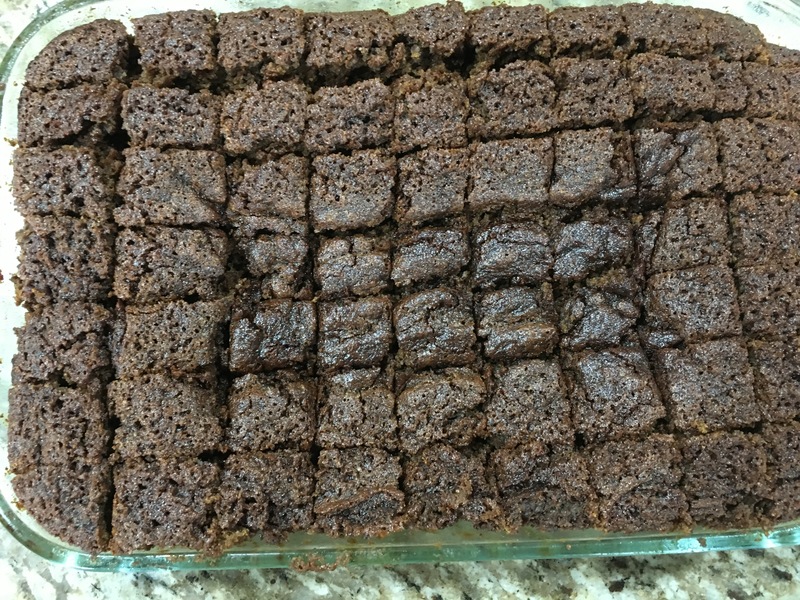 Cool and cut into 1/2 inch cubes. Set aside. Combine heavy cream, maple syrup and vanilla in a large mixing bowl. Beat with an electric mixer until medium-stiff peaks form and set aside. For the mousse: Place water in a small, microwave safe bowl and sprinkle gelatin over it. Gently stir and then set bowl aside for 5 minutes for gelatin to soften. 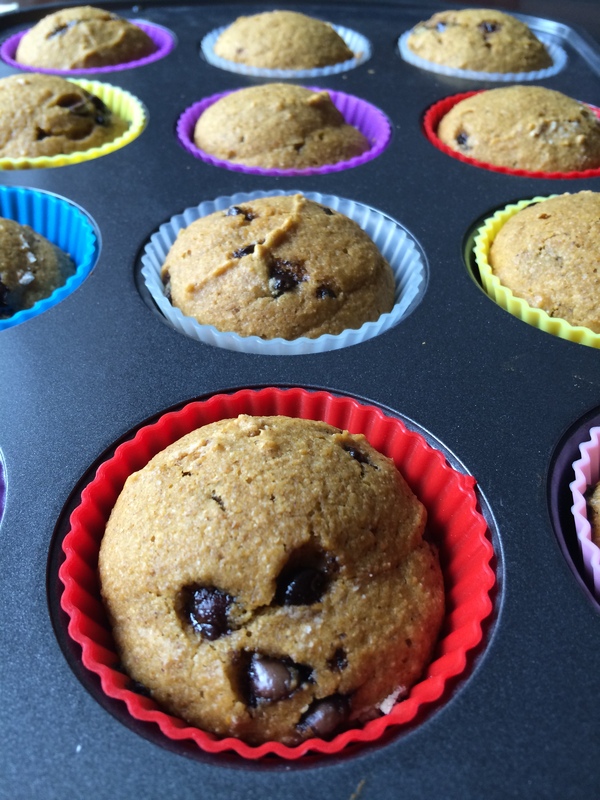 Combine pumpkin, coconut sugar, cinnamon, nutmeg and cloves in a medium mixing bowl. Whisk to combine. Place bowl of gelatin in microwave and heat 30 seconds and then stir until dissolved completely. Add gelatin to pumpkin mixture and whisk until fully combined. 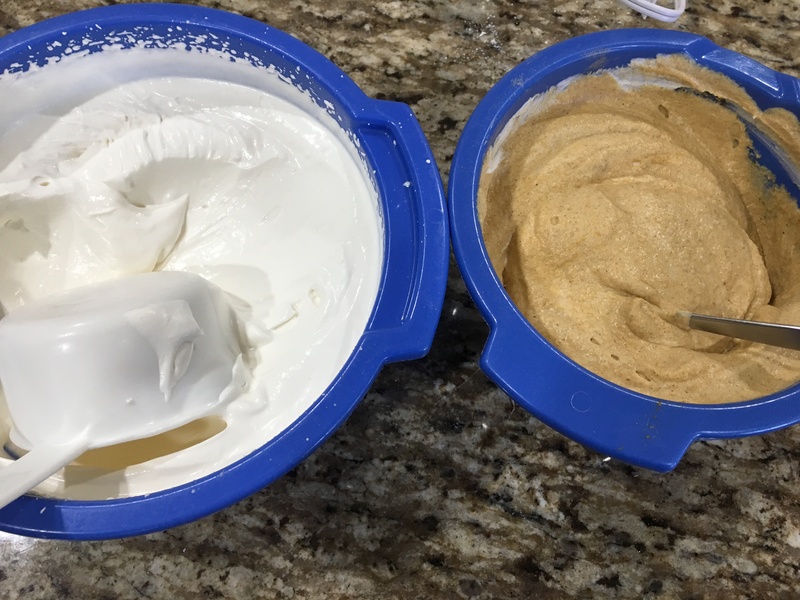 Fold 2 cups of whipped cream into the pumpkin mixture, gently folding until incorporated. Place half of gingerbread cubes on the bottom of a trifle bowl or other glass bowl with tall sides. 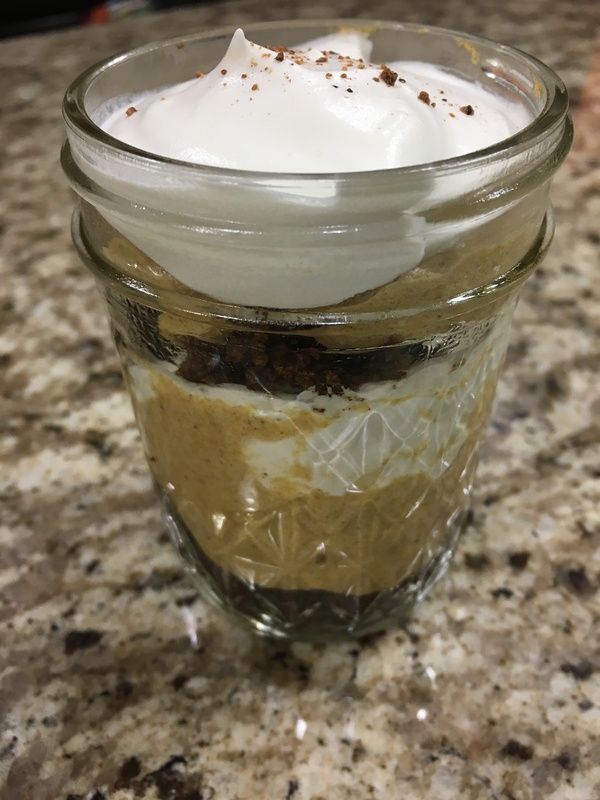 Top with half of pumpkin mousse and half of remaining whipped cream. Repeat layers, ending with whipped cream, and sprinkle top lightly with nutmeg. Chill 1 hour before serving. 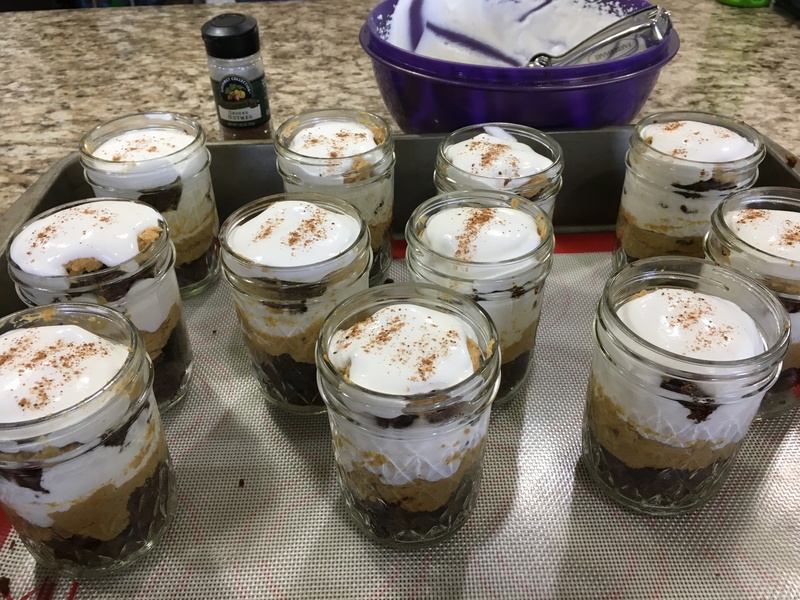 *When I served these for my book club, I found that putting them in individual serving dishes, like 1 cup mason jars, was perfect and kept them looking nice since large trifles tend to look a little messy when served.